Susan Crozier is Director and head of Product Management and Regulatory Affairs for FIS’s Securities Processing group. In her role, Susan is responsible for the oversight of Product Managers, product direction and product group functions. Product strategy and innovation functions are also under the Product Management purview. Susan also leads regulatory and industry initiatives across multiple product and working groups composed of FIS clients and various FIS teams. She represents FIS in several industry groups and committees. Susan is a member of the Financial Information Forum (FIF) Advisory Board and is the Co-Chair of the FIF Back Office Committee. She is a member of and participates in various industry committees and working groups – on Consolidated Audit Trail and Settlement Optimization, among others. Susan often speaks at industry conferences and events. Prior to joining FIS, Susan was Vice-President of Trading Floor and Syndicate Operations at Sutro &Co., a broker-dealer in San Francisco. Previously, Susan worked at Emmett A. Larkin Co. managing various departments in Operations. She also worked with Wells Capital Management in the strategic planning and vendor relations area focusing on strategic acquisitions research, soft dollar allocations and reconciliation. She has held Series 7, 8 and 63 licenses. 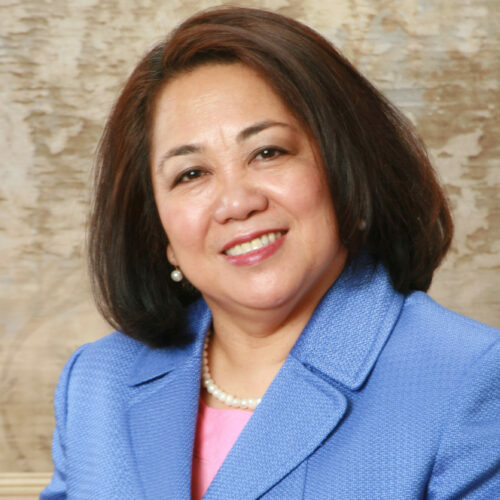 Susan has an undergraduate degree in Business majoring in Financial Management from St. Scholastica’s College Manila and holds dual MBA degrees from both Columbia University and the University of California at Berkeley.